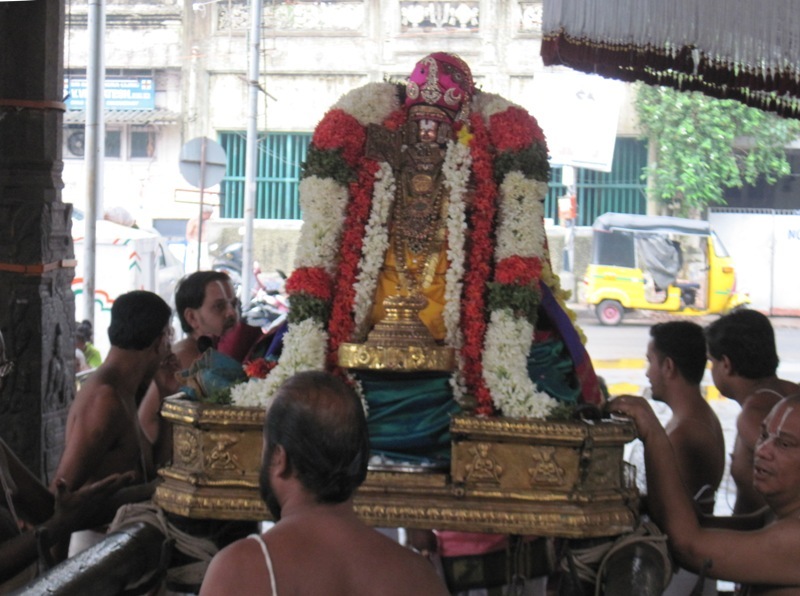 Today – 19th Oct 2012 – is the Ninth day of Swami Manavala Maamunigal Uthsavam. 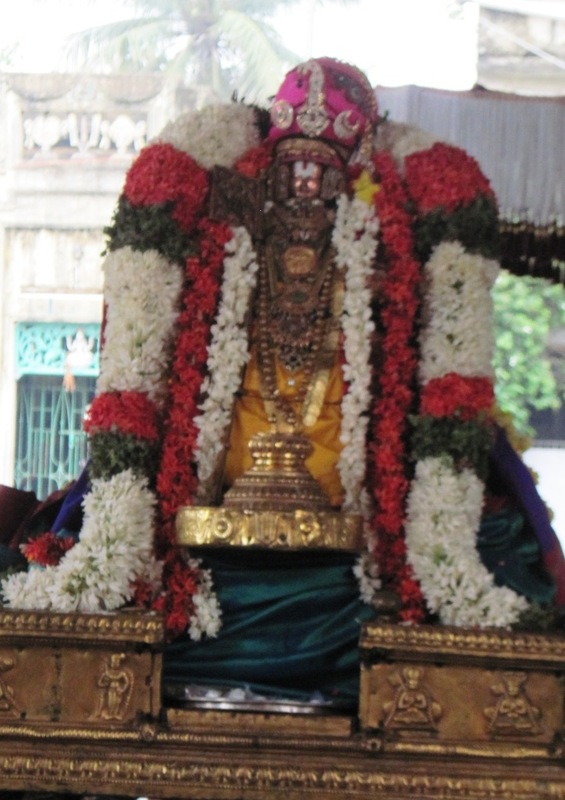 Today there is to be irattai purappadu – purappadu both in the morning and Evening for num Acharyar. On day 9, morning, Swami Manavala Mamunigal would have purappadu in Siriya Thiruther [the car festival]. 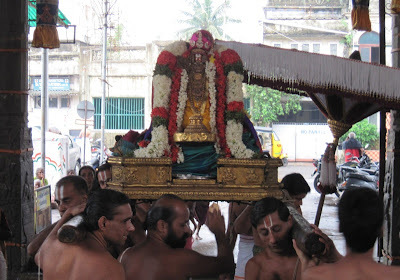 It has been raining for the past couple of days and the morning started with drizzle to moderate rain at Thiruvallikkeni, with the temple tank receiving copious amount of water, which sure would raise the water table of the place. 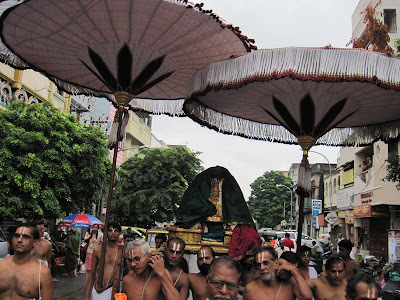 This morning the Thiruther purappadu could not be held due to rain, still, Swami Manavala Mamunigal had purappadu in ‘Tholukku Iniyaan’, amidst the drizzle. Here are some photos taken during the purappadu.